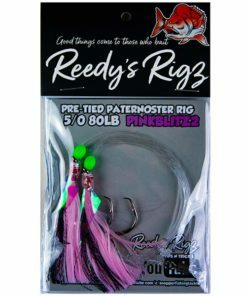 Pink ” Fly ” Rig Rigged on 30lb Leader . 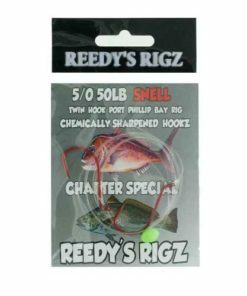 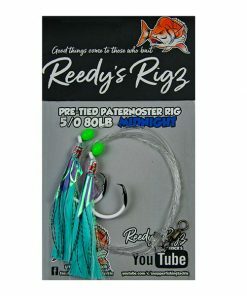 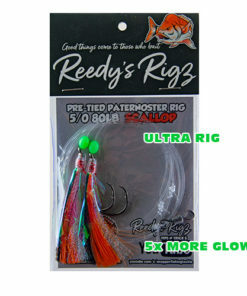 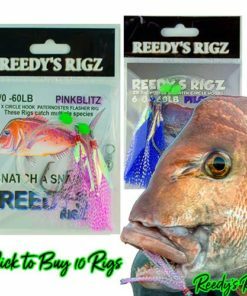 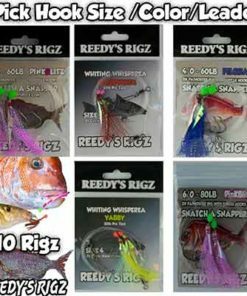 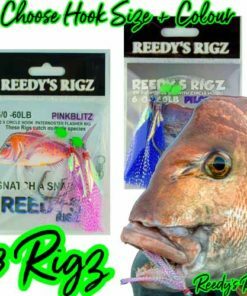 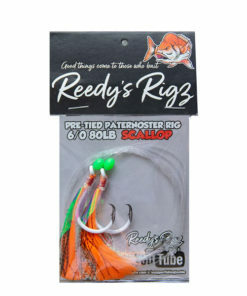 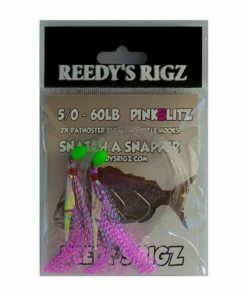 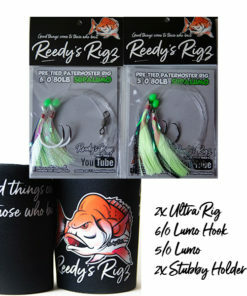 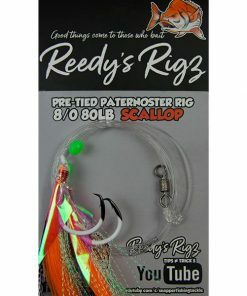 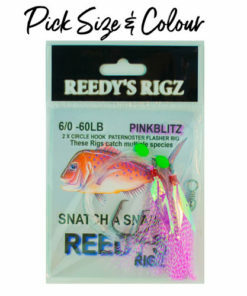 Whiting Rig : Whiting Fishing Rigs By Reedys Rigz were Design to Catch a Range Of Fish . 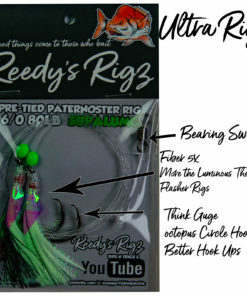 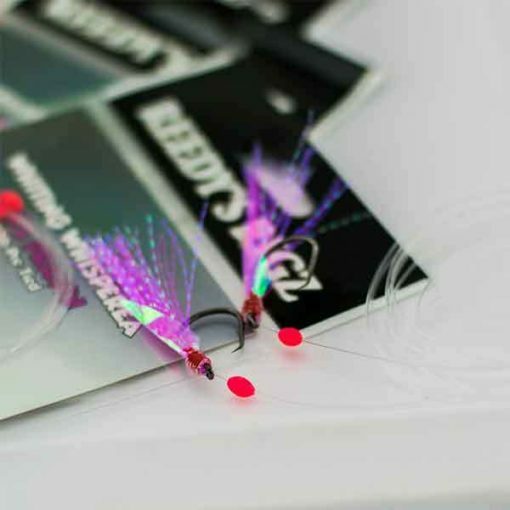 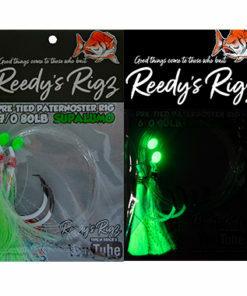 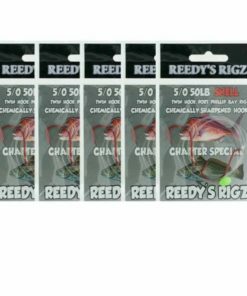 Whiting Whispera fishing rigs By REEDYS RIGZ have been Getting their fair share of attention by anglers. 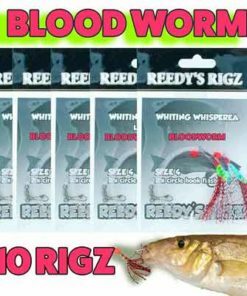 I thought it was about time to took the opportunity to explain How the whispera fishing rig works. 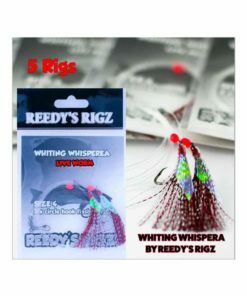 Whiting whispera Rigs are pre-tied fishing rigs and come in a range of sizes and Flasher colors, but they all circle hooks, tied on various types of leader strength in a paternoster arrangement. 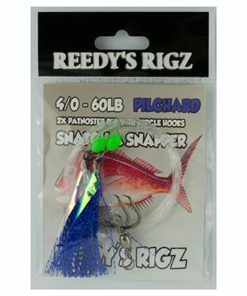 The key to the success of the rigs is the fish attracting material attached to the hooks. 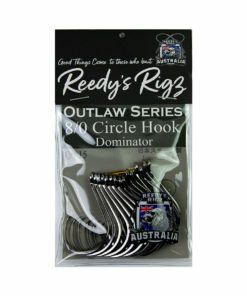 Each Circle hook is rigged by flashy dressing, much like a saltwater fly. 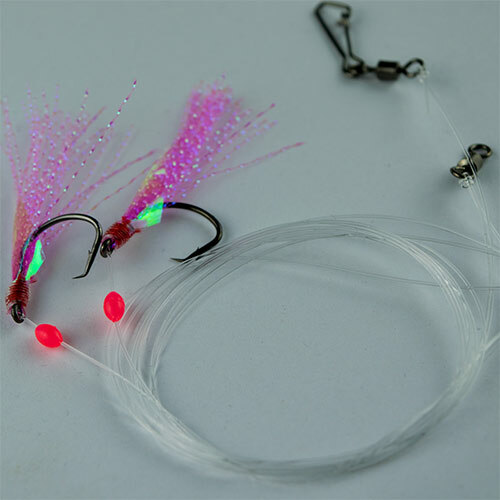 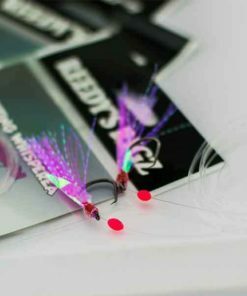 The Lumo bead sits above each hook & the Bead Helps Lure fish to the Circle hooks along with the flasher . 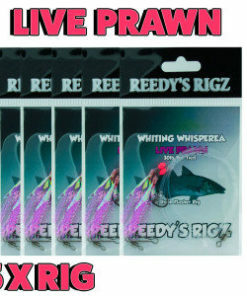 This is one of Best uses for whiting Whispera rigs in Australian & New Zealand waters. 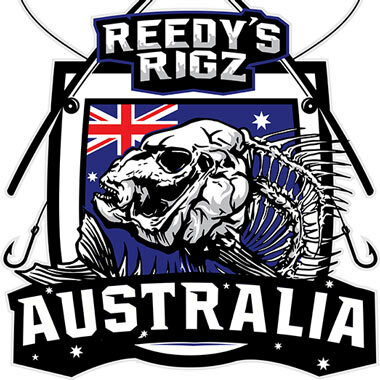 They fish Very well not just for whiting but a range of fish like snapper in the bigger Hook Size . 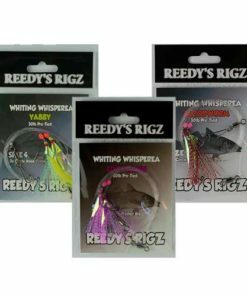 All you need to do is tie the swivel at one end of the whiting whispera Rig to your main line, add some weight at the bottom of the rig & You’re ready to fish! 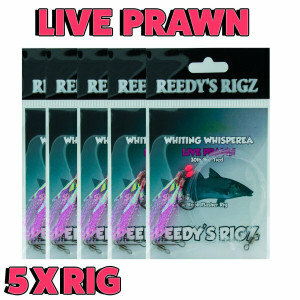 Reedy’s rigs original Whispera can be used for surf fishing rig or fished for Bream in the smaller model Size #4. 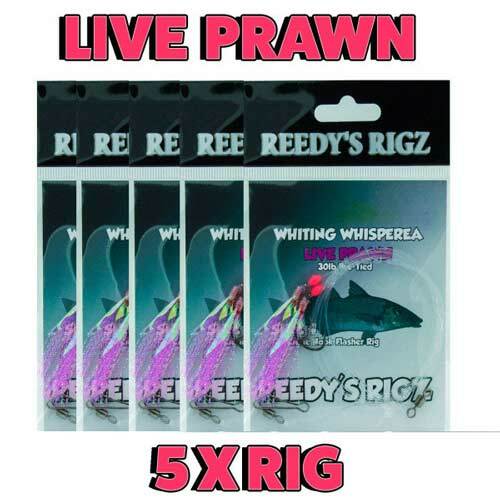 Whiting whispera fishing rigs are , very effective in the surf. 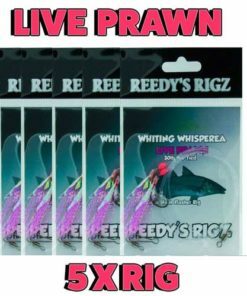 I many Australian salmon from the surf on The Size#4 Rig , and they are fished regularly to catch other species like gummy sharks & Tailor in the Strong Line Class & Hook Size . 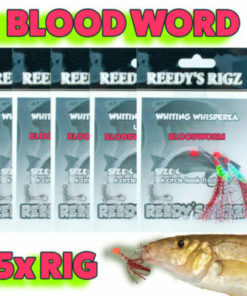 This is one of Best uses for whitting whispera rigs in Australian & New Zealand waters. 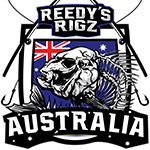 They fish Very well not just for whiting but a range of fish like Snapper , Mulloway , Australian Salmon the list is basically endless what they catch. 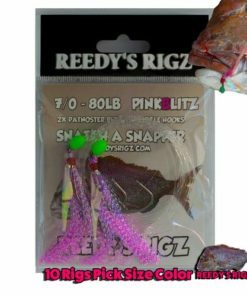 No matter whether you’re fishing from the shore or a boat, it is best to use bait on your Flasher rig. 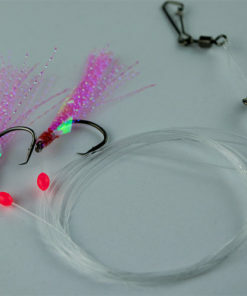 A strip of squid is ideal, especially in the surf. 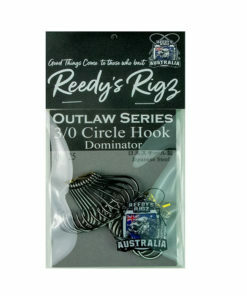 Pass the hook through the squid strip just once, towards one end of the strip, just as you would for normal circle hooks. 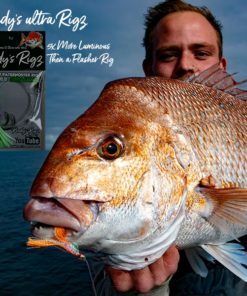 Once you have your Snapper Rig rigged, baited and in the water Sit back & relax you don’t need to strike the circle hooks will catch the fish , just a lift of the fishing rod once it is fully buckled should see a good hook up .